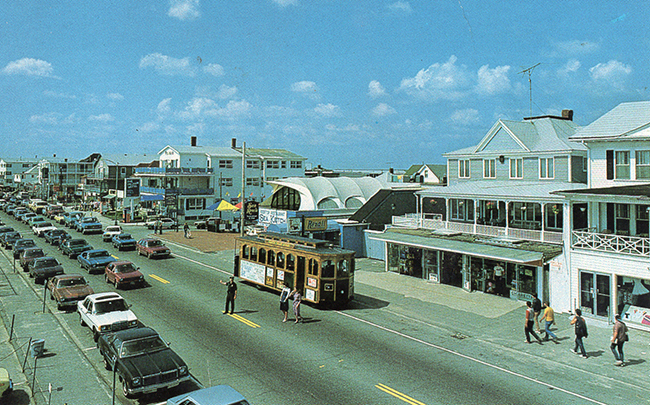 A vintage postcard from the summer of 1983 showing the Sea Ketch Rooftop Restaurant in Hampton Beach, New Hampshire. The Moss-designed enclosed canopy allowed for all season dining at the Sea Ketch. In the winter the clear plastic sides were zipped closed, while in the summer they remained open for outdoor dining.